If your in the mood for flavor! 2. 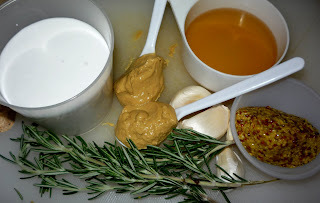 In a bowl mix together Dijon mustard, Whole grain Mustard, Coconut cream, and water. 3. 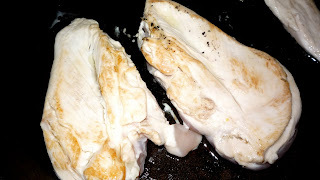 In an oven safe pan (I used cast iron) Sear your chicken breast either side. 4. 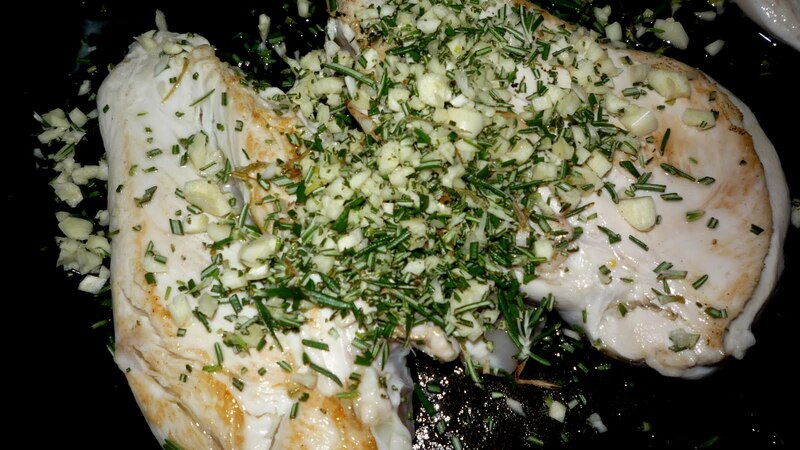 Add your rosemary, garlic, white balsamic, and salt and pepper. Just lightly saute. 5. Top next with your mixed sauce ingredients and just bring to a simmer. 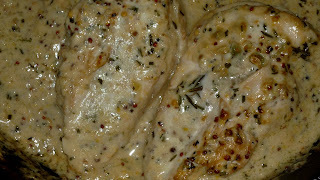 Place in the center of your oven for around 15-20 minutes on 200c. 6. After 15-20 minutes your chicken and sauce should be looking like this. Rich and coated! 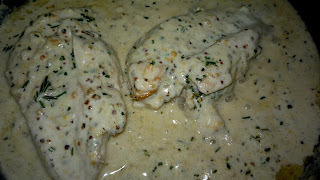 There you have a great baked chicken in a creamy sauce. This chicken dish goes well with my celeriac dauphanoise or even a green salad. I made this for dinner last night and it was amazing. 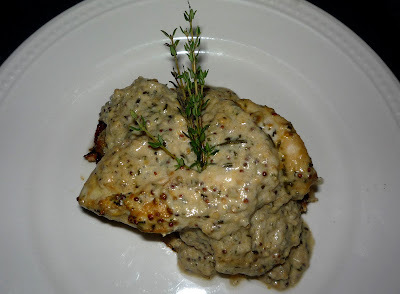 Even my non paleo husband thought it was fabulous. Thanks for such a wonderful recipe. Thank you so much for your comment. You won't have to be paleo to enjoy my recipes. 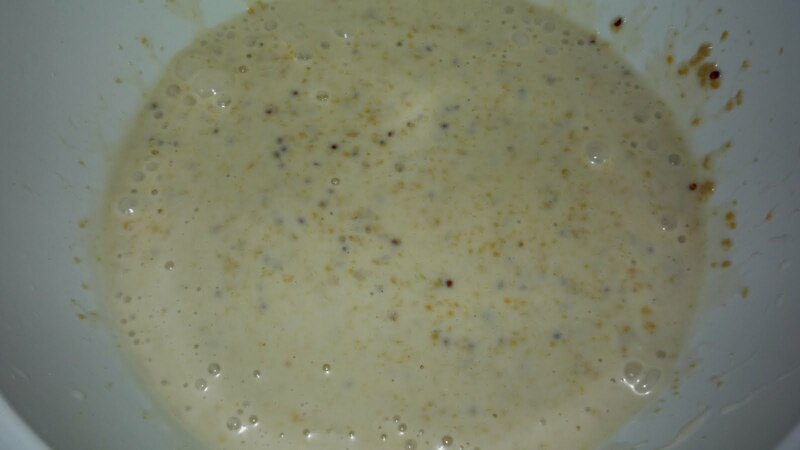 Mst of them I've sat and thought about and tried to make it taste as close as I can to "Norma,".. Haha. I feed my partner most of this food as well. He started out saying I'm not a "paleo". Now he can notices the change in the way he feels. He isn't missing the foods we've got rid of. Slowly creep it into there diet and they won't want to go back! Is it a 1/4 cup of coconut cream?